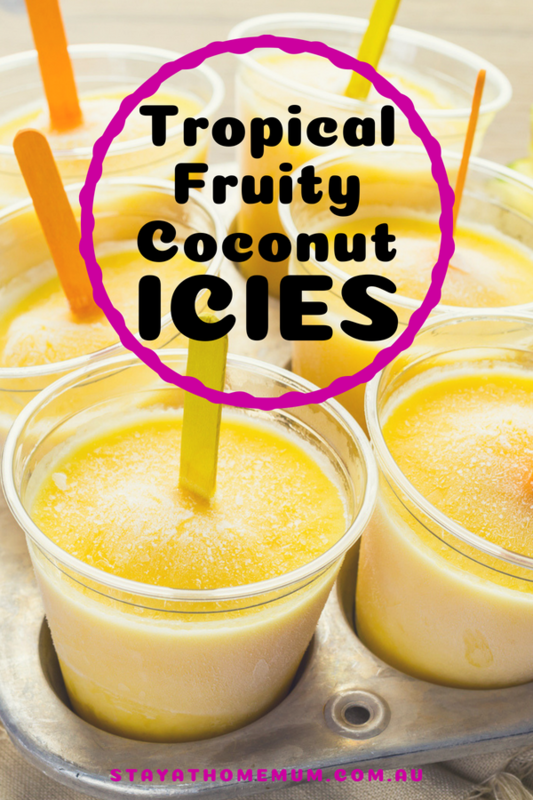 I’m so excited to whip these Tropical Fruity Coconut Icies up – I wish it was summer already! These Tropical Fruity Coconut Icies burst with so much flavour. I swear when you eat these it’s like you can taste the tropics! I’m so excited to whip these Tropical Fruity Coconut Icies up – I wish it was summer already! These Tropical Fruity Coconut Icies burst with so much flavour. I swear when you eat these it’s like you can taste the tropics! Remove flesh from the mangoes and puree ingredients together until smooth.